While police initially said there was a stampede, SP Aditya Kumar later denied it, saying the women, all in their 80s, died of suffocation because of the heavy rush of pilgrims. 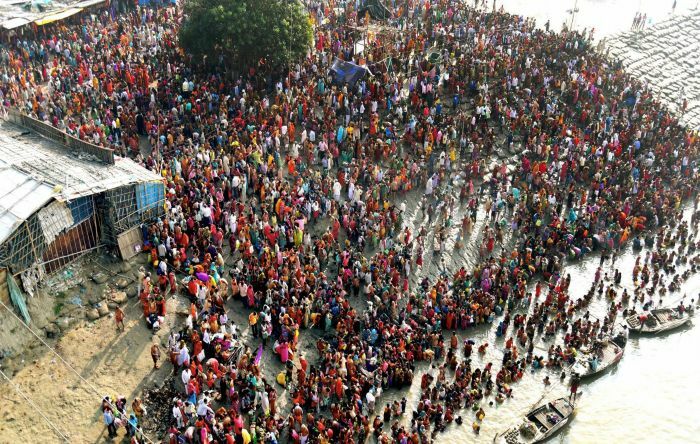 Three elderly women died of suffocation on Saturday morning in a crowded alley near Simariya Ghat where thousands of devotees had gathered for a holy dip in the Ganga on the occasion of Kartik Purnima, police said. While police initially said there was a stampede, Superintendent of Police Aditya Kumar later denied it, saying the women, all in their 80s, died of suffocation because of the heavy rush of pilgrims. 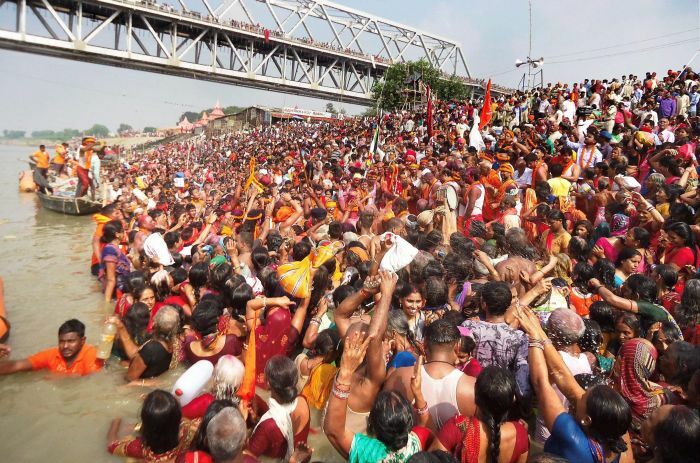 Devotees had gathered in large numbers at Simariya Ghat on the banks of Ganga on the occasion of Kartik Purnima and Ardh Kumbh. Chief Minister Nitish Kumar expressed sorrow over the incident and announced an ex gratia of Rs 4 lakh each for the families of the deceased. He also directed the district officials to provide free treatment to anyone injured in the incident. "There was a huge crowd at the Kali temple near Simariya Ghat, where people had gathered to offer prayers on the auspicious occasion of Kartik Purnima. These three women apparently felt claustrophobic and collapsed on the narrow pathway leading to the temple," the SP said. The situation was perfectly under control in the area, he said. "We have ascertained the identities of two women so far. One of them hailed from Noorsarai in Nalanda and another from Sitamarhi. Attempts were being made to establish the identity of the third woman," the SP added. ADG (Headquarters) Sunil Kumar Singhal also said the deaths were caused due to suffocation. Asked if he was ruling out a possibility of stampede, Singhal said, "We will reach a final conclusion only after post-mortem reports arrive. If any negligence on part of the police is found, accountability will be fixed. The IG zone and the DIG range would also take stock of the situation." Soon after the stampede, Sadar Deputy Superintendent of Police Mithilesh Kumar had said, "We are trying to ascertain the cause behind the stampede."